Remember, it's only fan made images. 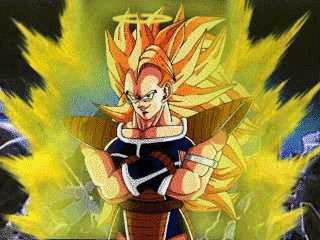 Let's face it, if you look for DBZ images on the web, you've probably seen the Super Saiya-jin Raditz images around. And remember kiddies, Dragon Ball AF is not real. I certainly hope everyone knows that by now. 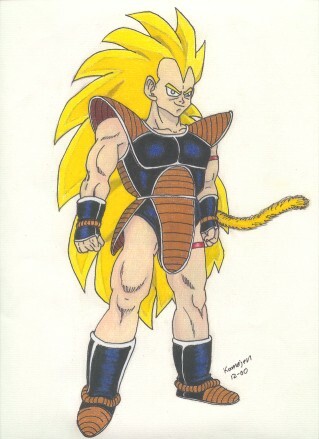 I also managed to find a pic of Raditz about to transform into a Super Saiya-jin, so I added it here also. 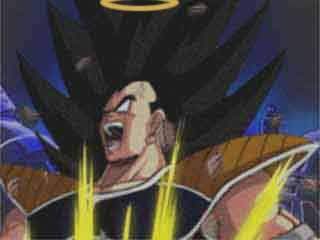 I downloaded the Super Saiya-jin Raditz images from Kazaa. And the credit for the SSJ Raditz gifs goes to www.gojiita.net.